We first learned about The Great Ace Attorney back in April, and Capcom are set to spill more details at Tokyo Game Show next week. Japan’s Weekly Famitsu magazine has already gotten the ball rolling, revealing that Phoenix Wright’s ancestor will be aided by Sir Arthur Conan Doyle’s fictional detective Sherlock Holmes and assistant Watson. This won’t be Sherlock’s typical assistant either, with creator Shu Takumi adding his own spin on things by having Iris Watson accompany him on his investigations – an eight-year old girl with a Doctorate in Medicine. 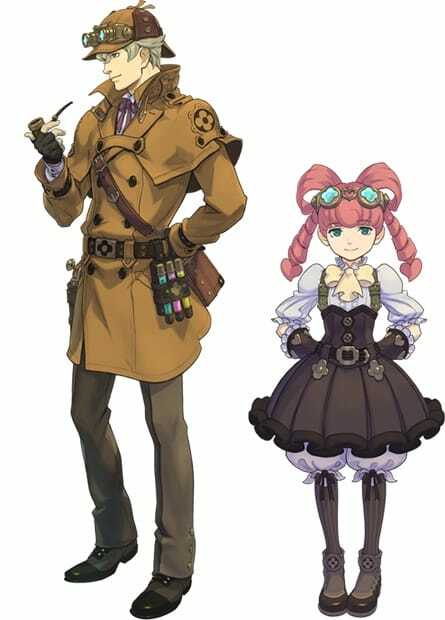 As previously reported the game will be set in Japan’s Meiji era, Sherlock and Wright’s ancestor will combine their talents in a new “Joint Reasoning” feature that will see you guide deductions to uncover the truth. The Great Ace Attorney will release exclusively for Nintendo 3DS in 2015.